Food waste disposal units such as the famous In Sink Erator waste food disposers have been popular in the United States for many years now, with around fifty percent of American homes enjoying the benefits of food waste disposal units such as the In Sink Erator. Sink waste such as food is effortlessly ground up and is simply washed away with your waste water - saving you time and leaving your kitchen odour-free. In recent years there has been a surge in popularity for food waste disposal units in Britain. Products such as the Rangemaster and In Sink Erator sink units are not only convenient, but they have numerous environmental benefits - cutting down on landfill, reducing the amount of household waste that needs to be collected, and providing a source of valuable biofuels that can be collected and processed along with your waste water. 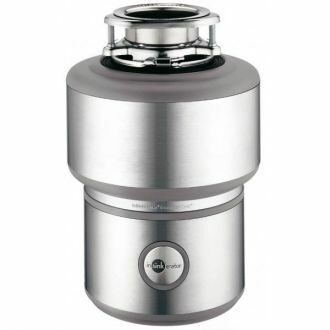 Waste food disposers are also suprisingly fuel efficient and cheap to run.